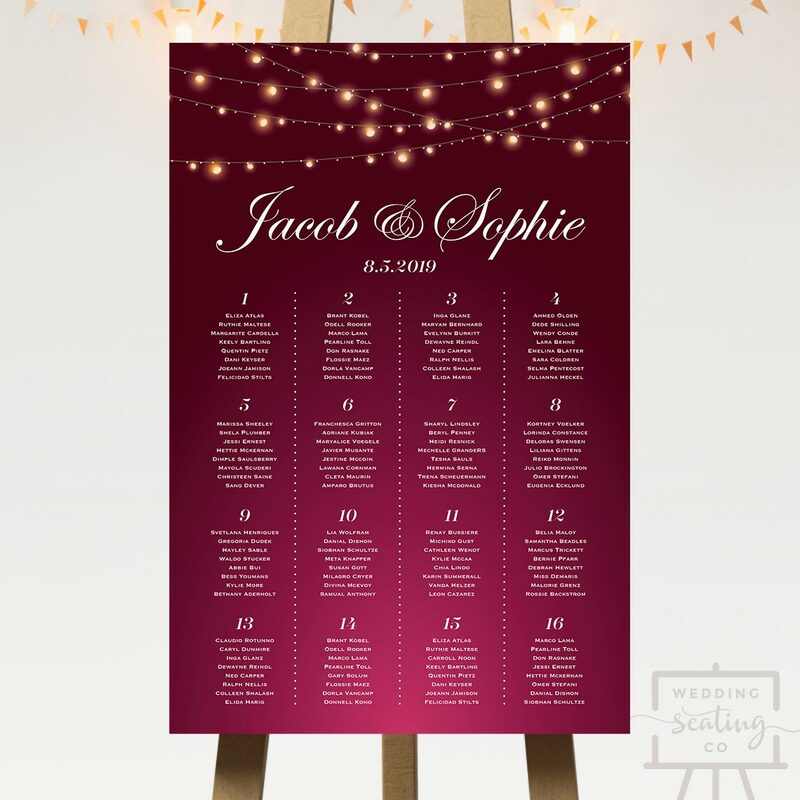 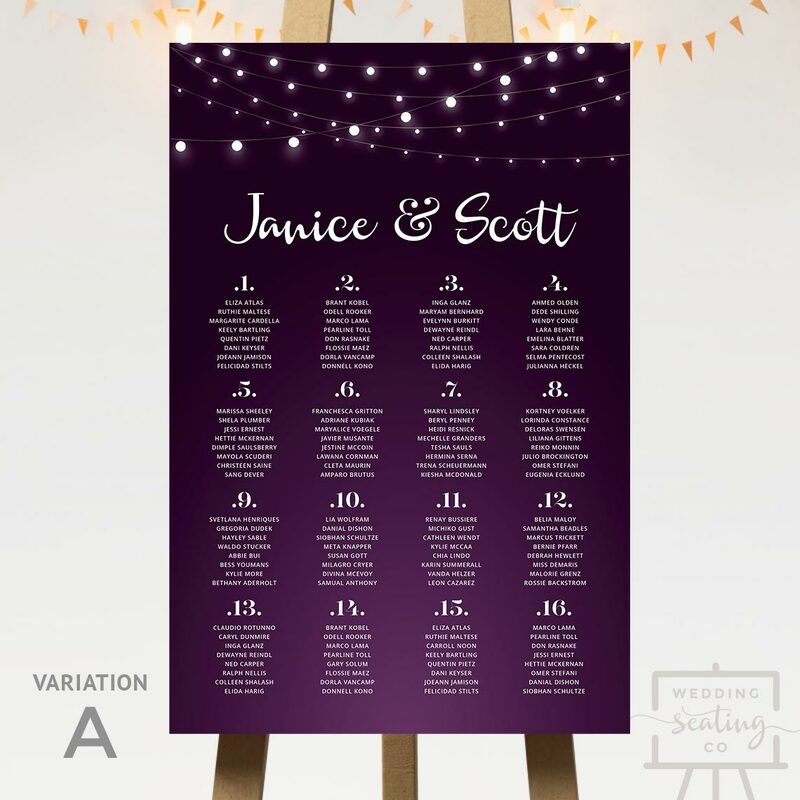 This String Lights Wedding Seating Chart features a design of hanging glow lights against a dark red, purple or blue background. Other color choices are also possible, but it must be dark for the glow effect to show. 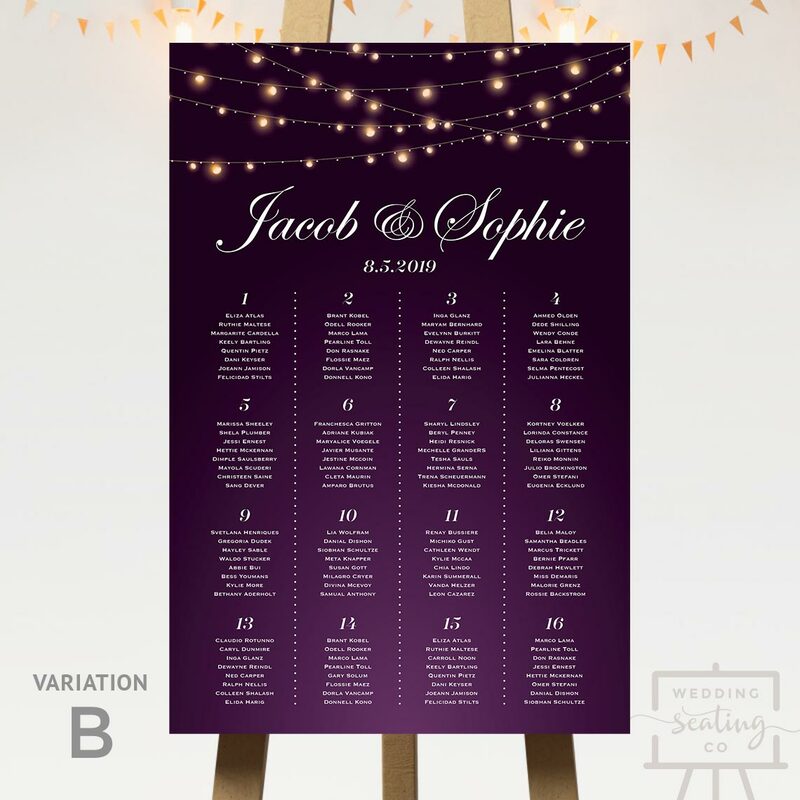 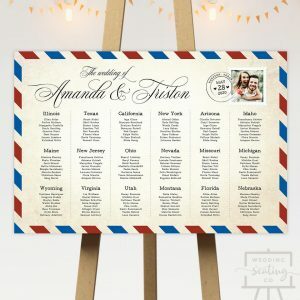 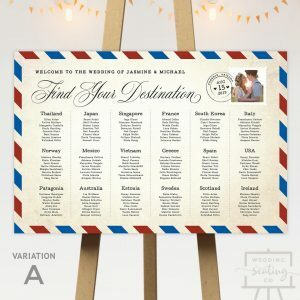 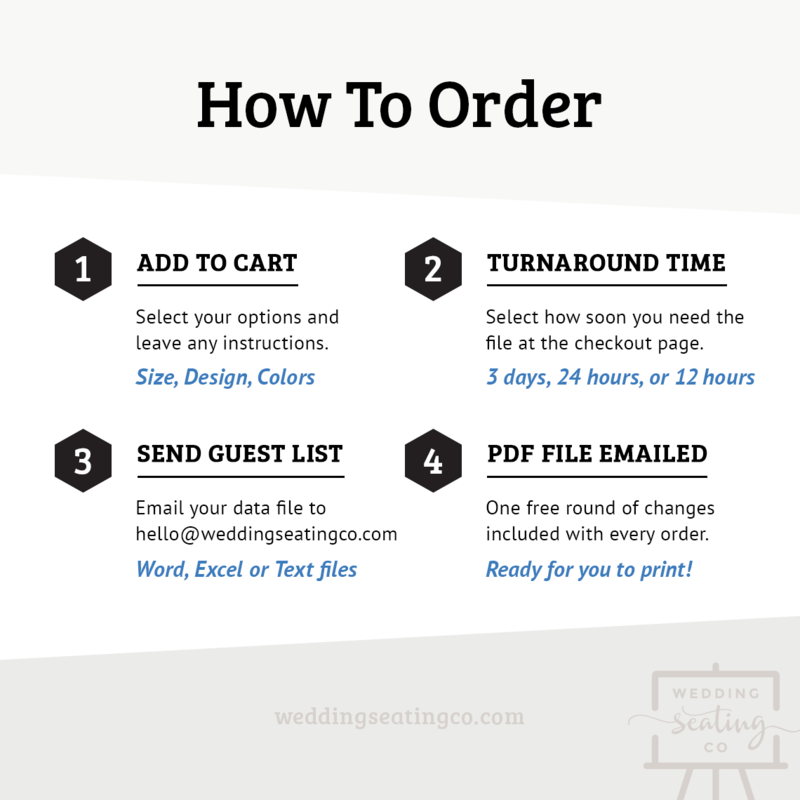 Names can be arranged according to letter, table name, or table numbers. 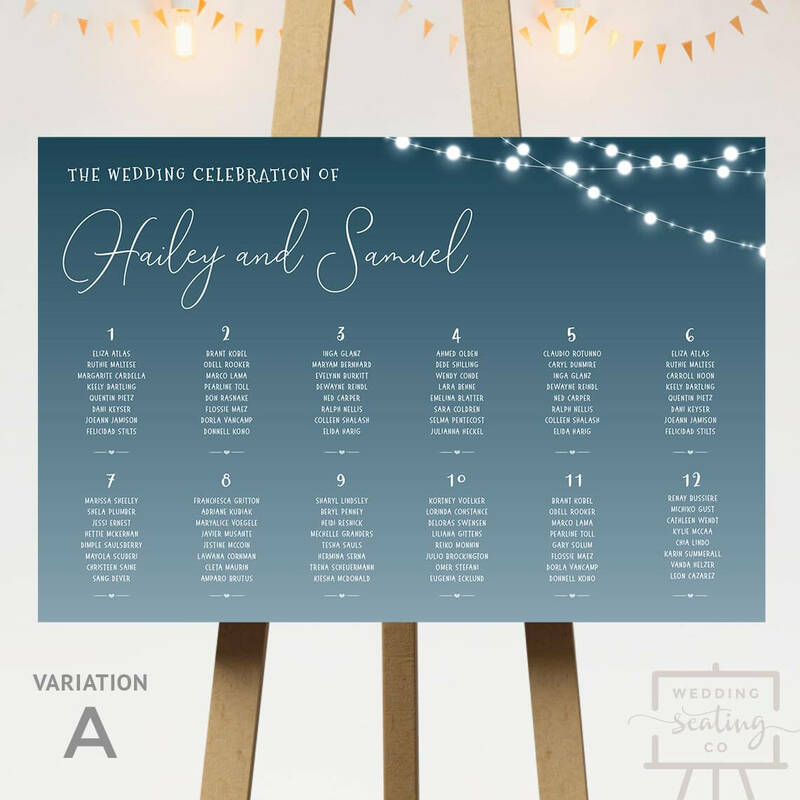 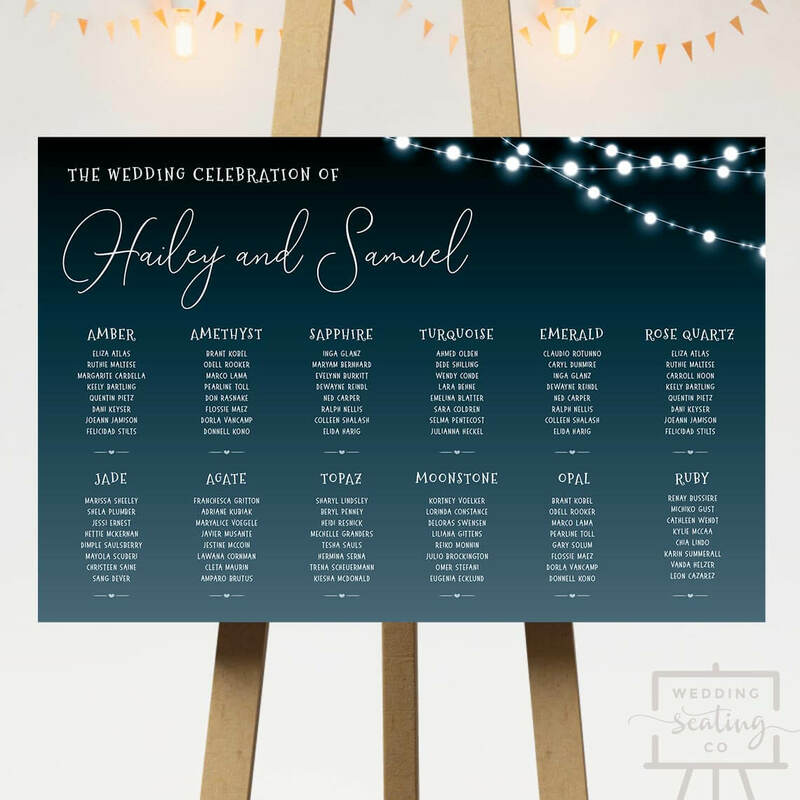 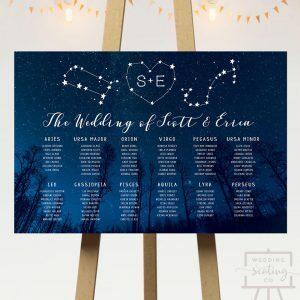 Scroll down for full details of String Lights Wedding Seating Chart.